This six-core CPU is clocked at 3.4GHz and turbos to 3.9GHz. It fits AMD’s Socket AM4 motherboards. The chip is built on the 12nm Zen+ architecture, features 12 processing threads, and supports RAM up to DDR4 2933MHz. It comes with a CPU cooler and a three year warranty. This 12 core desktop processor has 24 processing threads, 64 PCIe Gen 3 lanes, 32MB of L3 cache, 6MB of L2 cache, and an unlocked multiplier. It has a base clock speed of 3.5GHz, but will turbo to 4.0GHz. It comes with a three year warranty. This card features support for the PCIe 3.0 x16 interface, with a base clock of 1365MHz that boosts to 1830MHz. It has 1920 CUDA cores, 6GB of GDDR6 RAM, and an effective memory clock of 14Gbps. It features a single DisplayPort 1.4 connector, one HDMI 2.0b connector, and one dual-link DVI-D connector. It requires a 500W power supply, with an eight-pin connector. It has a two year warranty. This power bank features a 10 000mAh capacity, with one USB-A output at 1A, and another USB-A output at 2.1A. There’s also an LED power indicator, as well as an auto on-off system. This TV features a resolution of 3840×2160, support for HDR10, a 40W RMS, four HDMI ports, three USB ports, one Ethernet port, and support for Composite connections. This bundle includes a 16GB SD card and bag. The camera features an 18MP sensor, an 18-55mm DC III lens, 2.7 inch screen, and WiFi connectivity. This Samsung features a 6.0 inch display with 2220×1080 resolution, three rear cameras, 4GB of RAM, 64GB of internal storage, microSD card expansion support, single SIM with LTE support, and a 3300mAh battery. The Google Home smart speaker can be controlled by Google Assistant, and used as you would Assistant on your smartphone. It also features touch controls, allows you to play music, and set alarms. *Note: This is a parallel import. These wireless Bluetooth headphones feature a 16 hour battery life from a two hour charge, a foldable design, support for voice assistants like Siri or Google Assistant, and a one year limited warranty. The Apple TV features Apple’s A10X Fusion chipset, support for 4K video playback, HDMI 2.0a3 output, and Bluetooth 5.0. It also comes with a Lightning to USB cable and Siri remote. It has a one year limited warranty. The LG G6 features a 5.7 inch display with 2880×1440 resolution, 32GB of internal storage and 4GB of RAM, dual 13MP rear cameras, a 5MP front camera, and a 3300mAh battery. It runs Android 7.0 Nougat, features a headphone jack and microUSB 2.0 for data and charging. This 6.26 inch screen features a 1520×720 resolution, dual SIM support, and 32GB of internal storage. It’s powered by the Snapdragon 450 chipset with 3GB of RAM, a 16MP selfie camera, dual rear camera with 13MP and 2MP sensors, and a 4000mAh battery. The Instax Mini 9 features a 60mm f/12.7 lens, a shutter speed of 1/60 seconds, produces credit-card sized instant prints, and is powered by two AA batteries. It also comes with a macro lens attachment. This monitor features a 27 inch IPS display with 1920×1080 resolution, a contrast ratio of 1000:1, a response time of 5ms, and a host of connections including: one DisplayPort 1.2 port, one HDMI 1.4 port, one VGA port, and five USB ports (three USB 3.0, two USB 2.0). This powerbank features a 20000mAh capacity, two USB output ports at 1A 5V, and 2.1A 5V, and a efficiency of up to 92%. This monitor measures 49 inches from corner to corner with a 32:9 aspect ratio. It has a built-in KVM switch allowing users to control two devices connected to the monitor with a single mouse and keyboard. It also features two USB-C ports, a 144Hz refresh rate, one DisplayPort, one HDMI 2.0 port and three USB ports. 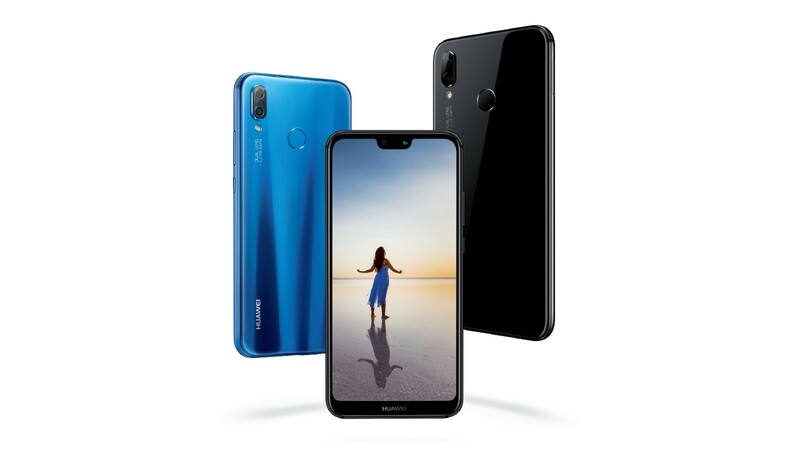 The Huawei P20 Lite features a 5.84 inch display with 2280×1080 resolution, 4GB of RAM and 64GB of internal storage. It also as a microSD card slot, dual rear cameras at 16MP and 2MP, a single front 16MP camera and a 3000mAh battery. This card features 6GB of GDDR5 memory, a core clock of 1594MHz and a boost clock of 1809MHz. It requires a 400W power supply, features one DVI-D port, three DisplayPorts and one HDMI port.